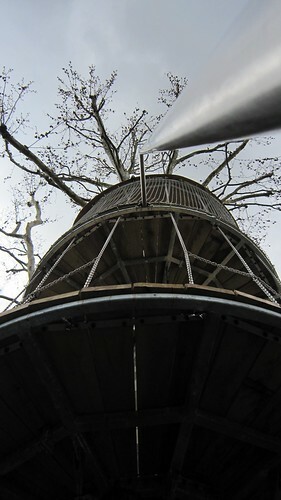 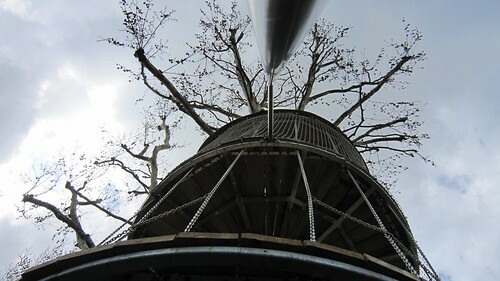 Monkey-Do's All Bark No Bite Steel Treehouse! 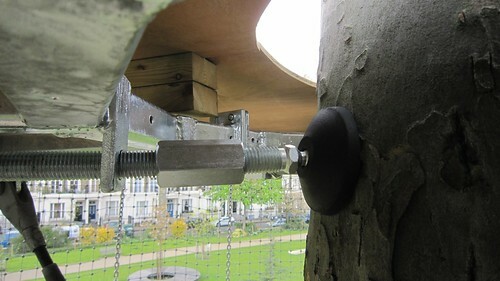 Designed to be fun, safe and do no harm the host tree, this treehouse builds on years of thinking and experimenting with different ways of attaching play structures to trees without damaging them. 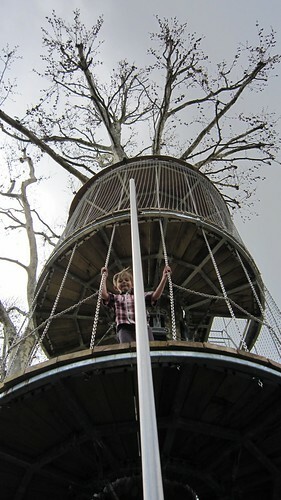 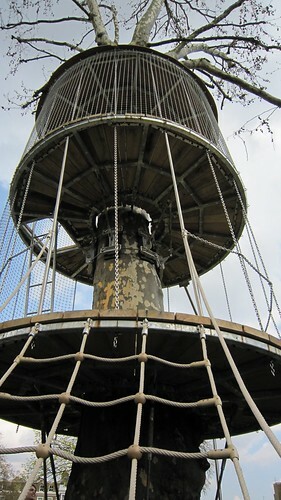 Click here to see feedback from local children and parents about the treehouse. 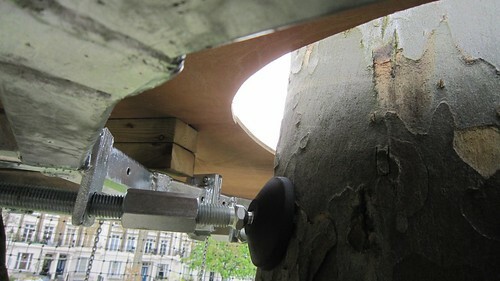 Each platform has a safe working load of 3.5 tons, and the clamp assemblies that secure the platforms around the trunk are fully adjustable to allow for the tree's growth over time. 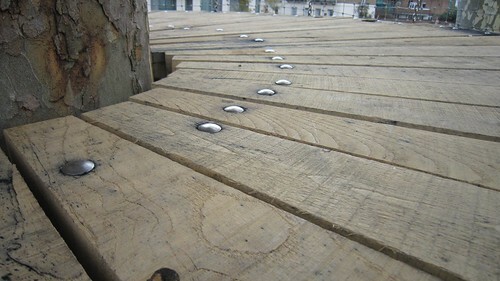 Each platform is made up of a steel box section frame decked in 2 inch thick oak timbers, supported by steel architectural tendons cut to fit on site, and fine-tuned with compression turnbuckles. 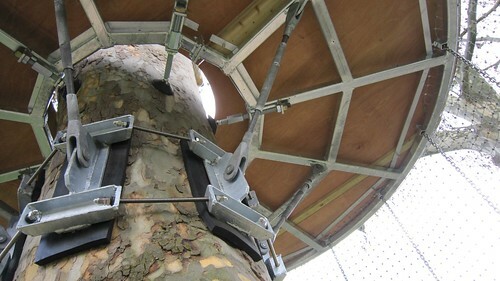 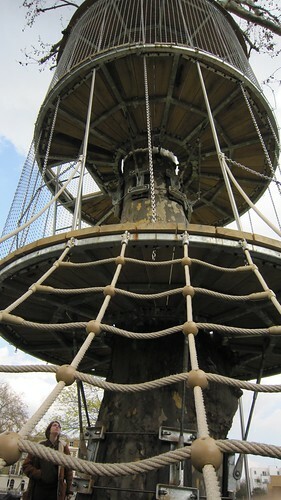 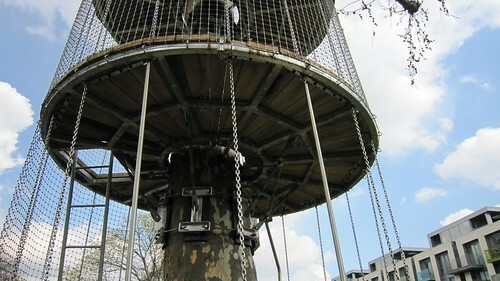 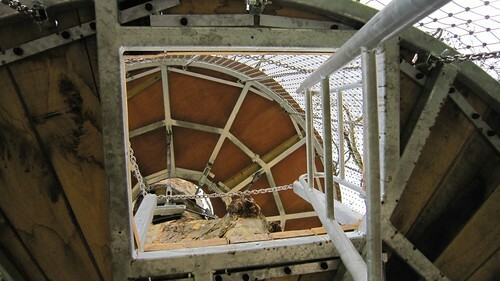 There's a low platform resting on the floor around the first tree, with a climbing net up to a higher platform in the second tree. 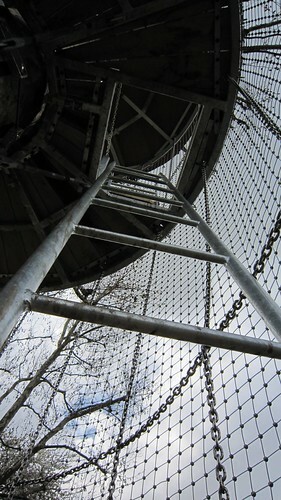 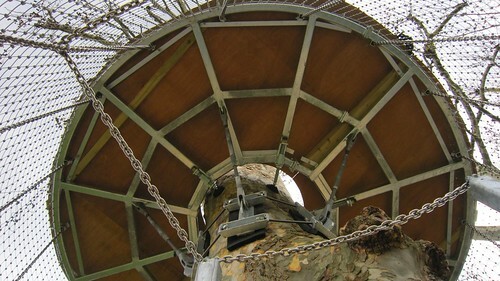 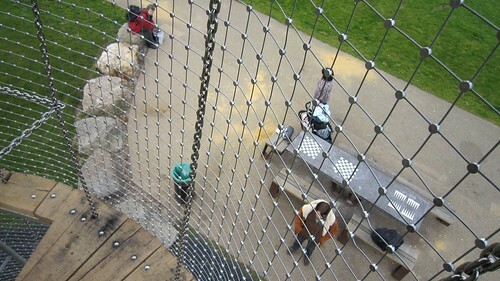 The second platform has a stainless steel chain guardrail and a fire pole down to the ground, or a ladder up to the next deck. 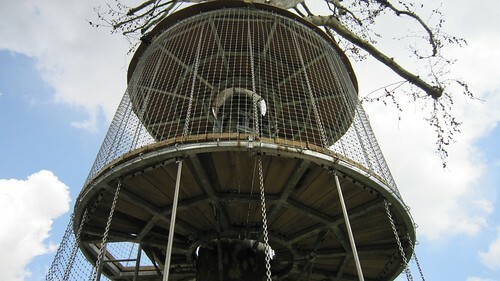 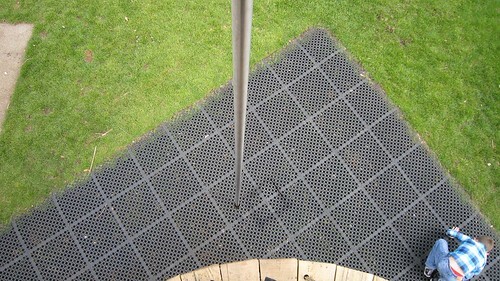 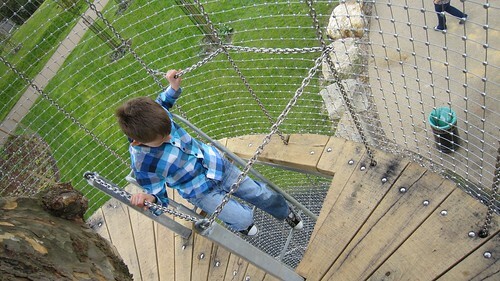 The top deck stands at 4.5m high and is completely enclosed in fine steel anti-climbing mesh, with awesome 360 degree views around the square. 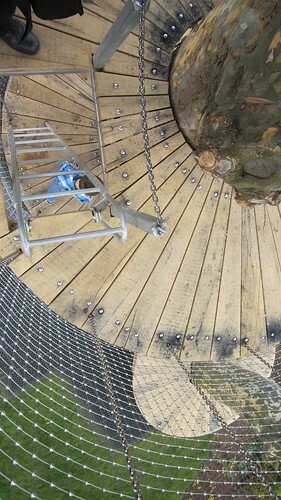 Wind and light pass straight through and the sensation of being high in the tree is a strong one! 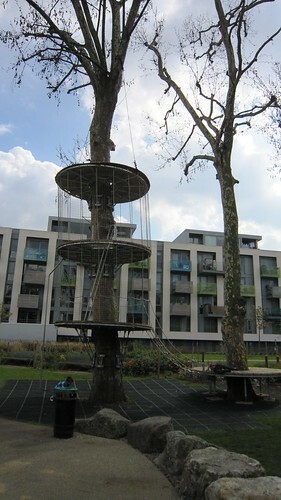 With luck this will just be the first of many such unique tree play structures in public parks and beyond. 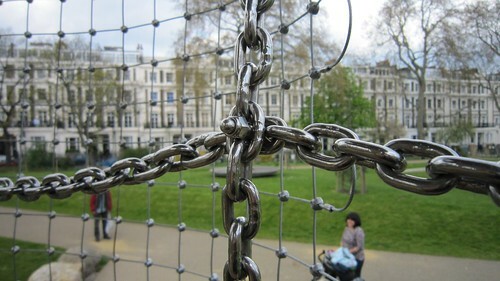 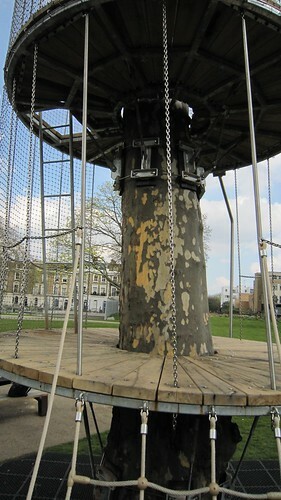 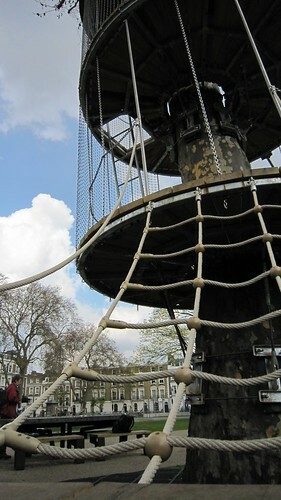 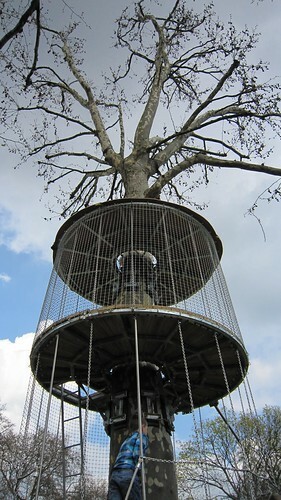 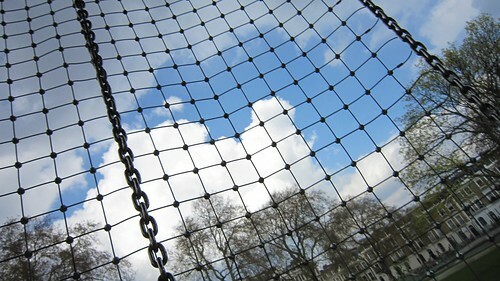 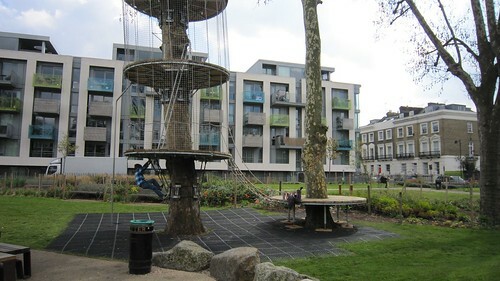 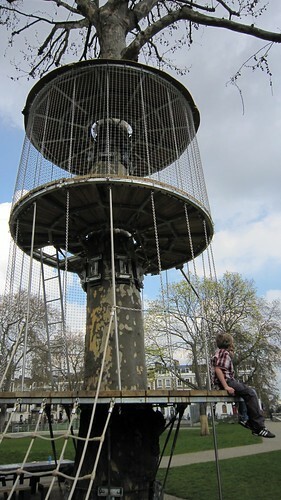 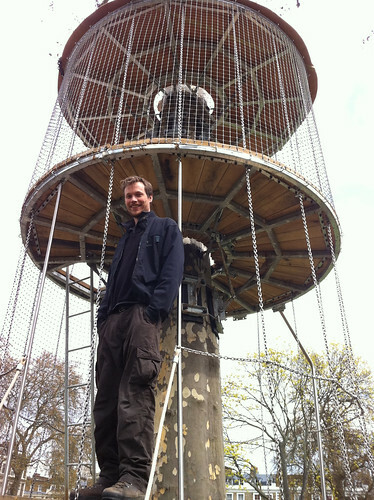 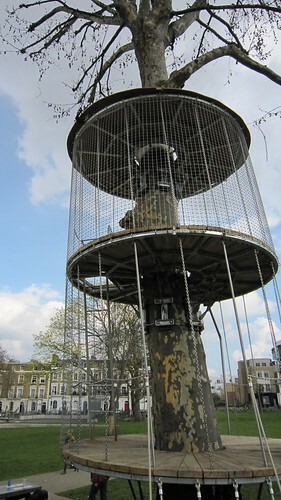 Jon Winder from Islington Council's Greenspace team had the vision to commission this pioneering piece of work. 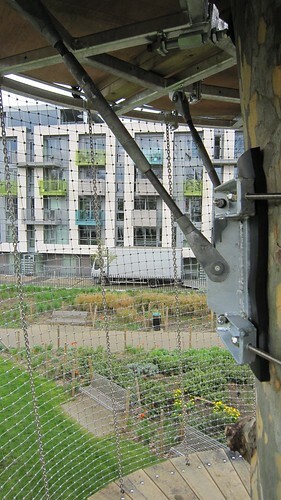 George Holland from TZG Partnership provided the structural engineering expertise, and Duncan Forbes fabricated the bespoke steelwork for us. 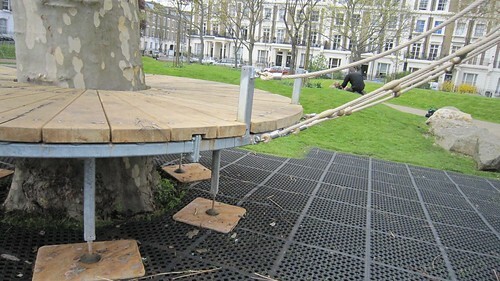 Thanks a lot chaps!